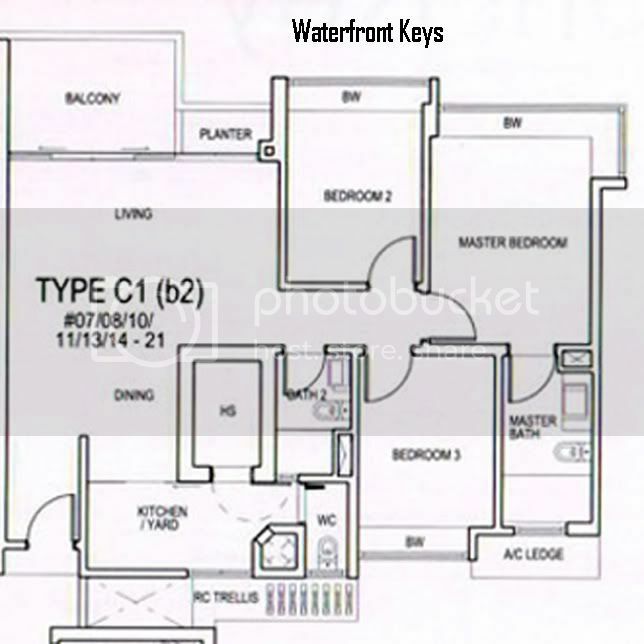 So how can the wife and I not do a comparison between WATERFRONT KEY and its counterpart next door, WATERFRONT WAVES, especially when the showflats of both are currently found in the same sales gallery? Well, we simply cannot. So here goes. 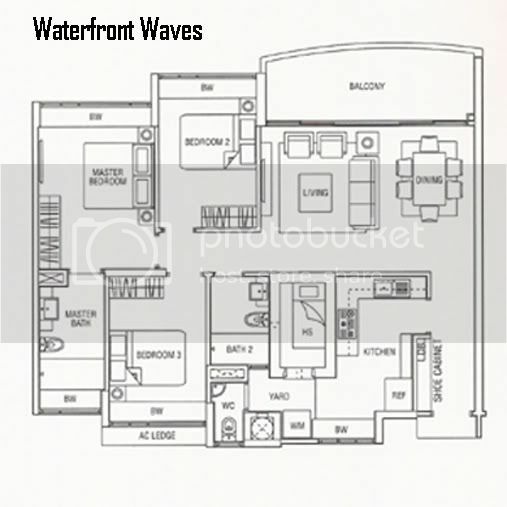 However, we will only compare the 3-bedroom showflats, as this is the only type of showflat that WATERFRONT WAVES still displays at the sales gallery. And we must caution that the two showflat layouts are not the only ones available at the respective projects. So which of the two project is a better buy? We shall let you be your own judge. As for the wife and I, we prefer the 3-bedder at WATERFRONT WAVE, but we felt that it is somewhat over-priced on a psf basis compared to WATERFRONT KEY. But given that almost 95% of the 405 units in total were already sold, and the fact that most of the remaining 3-bedders are reservoir facing, we reckon WATERFRONT WAVES can afford not to price down on the unsold units. No Comment to " WATERFRONT WAVES versus WATERFRONT KEY...? "